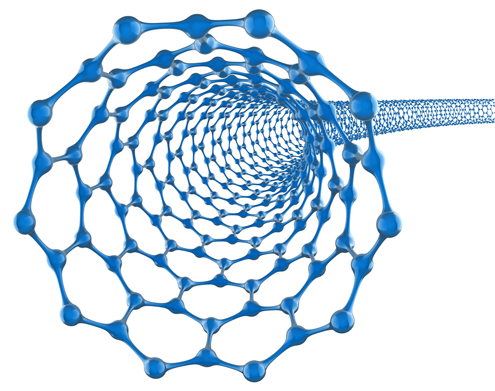 Engineered nanomaterials are revolutionizing product development. The unique properties achievable by manipulating chemicals at the nanometer scale offer vast potential. However, these same properties pose possible risks, for workers, consumers, and the environment, which must be considered as nanotechnology fulfills its promise. Gradient offers a variety of technical services to better understand the potential health and environmental impacts of nanoscale materials, including human health and environmental risk sciences, exposure assessment, risk communication, epidemiology, toxicology, environmental chemistry, and fate and transport modeling. We also publish EH&S NanoNews, a periodic newsletter focused on the environmental, health, and safety implications of nanotechnology. Cohen, JM; DeLoid, GM; Demokritou, P. 2015. "A critical review of in vitro dosimetry for engineered nanomaterials." Nanomedicine 10(19):3015-3032. DeLoid, G; Cohen, JM; Darrah, T; Derk, R; Rojanasakul, L; Pyrgiotakis, G; Wohlleben, W; Demokritou, P. 2014. "Estimating the effective density of engineered nanomaterials for in vitro dosimetry." Nat. Commun. 5:3514. Long, CM; Nascarella, MA; Valberg, PA. 2013. "Carbon black versus black carbon and other airborne materials containing elemental carbon: Physical and chemical distinctions" Environ. Pollut. 181:271-286. Gradient prepared data submission packages for carbon black and synthetic amorphous silica that were provided to US EPA during its voluntary "basic" Nanoscale Materials Stewardship Program (NMSP) program. For both substances, Gradient summarized information on materials characterization, hazards, uses, potential exposures, and risk management. Gradient conducted a product safety assessment to address potential oral exposures to precipitated synthetic amorphous silica (SAS). We prepared a technical dossier for this nanostructured material according to European regulatory guidance. The work involved interpreting physicochemical properties, chemical hazards, and expected nanostructured material exposure to consumers. Gradient reviewed a personal care product manufacturer's nanoparticle guidelines for occupational safety and health, which outlined both how to manage exposure to nanoparticles in the workplace and how to safely use nanoparticles in consumer products. We provided recommendations for refining and improving the guidelines to ensure that they adequately reflected the current scientific understanding of nanoparticle exposure and health effects. Gradient evaluated potential exposure to nanosilver used as a coating on a medical device. We reviewed previous toxicology testing and literature relating to its leachable constituents and assessed the potential toxicological hazard of the medical device. Our analysis was used by the client in the context of obtaining US Food and Drug Administration (FDA) approval for the device. Gradient compared physicochemical properties data for several types of inhalable carbon-containing particles, including carbon black, black carbon, and several kinds of engineered carbon-based nanomaterials. We examined evidence indicating that the potential biological activity of carbon-containing particles is substance-specific, thus impacting the extrapolation of properties, hazard potential, and study conclusions from one material to another. The fundamental principles applied by our product safety scientists provide a platform to support the safe development and commercialization of nanomaterials around the globe.